Trump is obsessed with the caravan of people from Honduras and who knows where, Somalis and Muslims and terrorists of all sort! If he could just see them better! He also had a visit from NASA and had to sign some thing that was for a telescope bigger than the Hubble telescope. 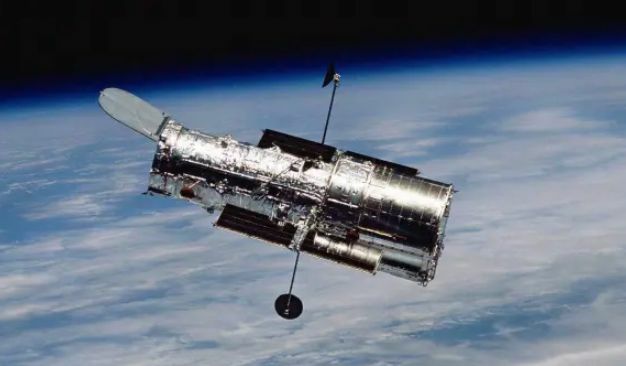 And the Hubble was cool, that Trump had to admit. And he had an idea. They were on their way out when Trump called one of them, Bill, that was the easiest to understand, to stay. Trump: What would it take to have a galaxy named after me? And some stars for my kids. Maybe a moon or asteroid after Melania and the grand-kids? Bill: We don't do that sir, it's an international organization, like the UN. And they do not use people much. Trump: I see. Well then I have this other idea. That Hubble, will it be scrapped? Bill: No, it will still remain in use for 10 years or more. Why? Trump: I want you to refocus it to look at the Caravan. 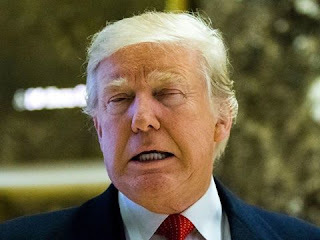 Trump: Yeah, some thousands of people from shithole countries going through Mexico to our border. I didn't have much luck with the Pentagon. They won't send troops. Something about peace keeping and civilians. They can't touch them till I declare the right kind of emergency. Bill: This is going to be hard to explain in detail, but we would have to change all the parts inside. Can I come back tomorrow? Bill went to the hotel and then looked up toy stores and sports stores and took a cab to buy the supplies. The next day he returned. Bill: So yes, Mr President, the parts inside the Hubble are built to focus on far away objects. I had some 12x50 binoculars brought in, but they are still x-raying them. But I also have a globe here. It's plastic and I have to blow it up to a sphere. It has a plastic stand. That window sill will work. Bill: OK, so let's look out the window. Can we see a bit of the White House wall? Yes, I'll focus on that. Trump: It's focused now? Let me see? Yeah, that's the wall. So what's the point here? I like science but I have to watch Fox soon. Bill: OK, now, focus the binoculars on the globe. I'll turn Central America toward the front. Trump: It's broken! It won't work! All I see a blurry blue thing! This is a joke! Bill: We have various specs for binoculars. Field of view is marked here, it's how wide the view is in degrees. Not marked, but all binoculars are also rated for close focus. This powerful a handheld binocular does not focus under 20 feet. The focus knob will not do it. That is what allows it then to go all the way from 20 feet to infinity. Trump: So what are you saying? You can't just fix the Hubble focus knob? Bill: The Hubble just was not built to look at the earth. Trump: What about the climate satellites? The ones that measure that fake global warming? Bill: Not under me, that's in Alabama. But those satellites look at radiation from the earth in certain wavelengths. They do not use visible light. Trump: So you have nothing for the Caravan? Bill: No. You are stuck with the Pentagon. Trump: Thank's for trying. You can take your ball with you.